Welcome to A Sampling Bee. 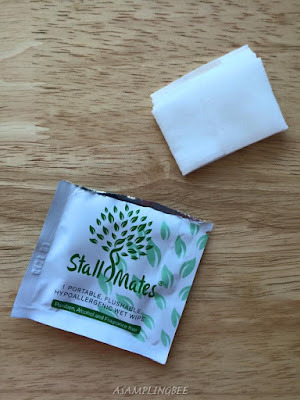 Today, I share with you Stall Mates Flushable Wipes! 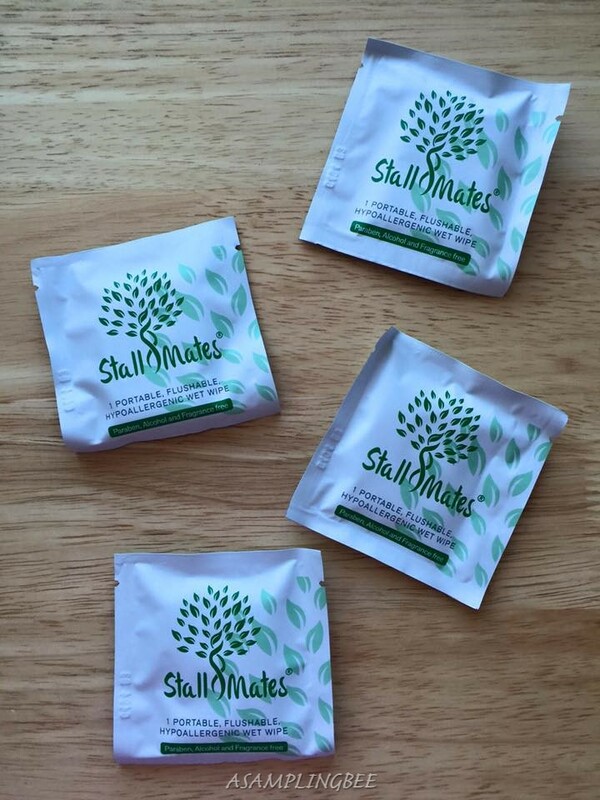 These individually wrapped flushable wipes are great for traveling and for every day use in the bathroom. Stall Mates uses only the best quality natural ingredients. Stall Mates wipes are cruelty free and they are made in the USA, in an FDA compliant solar powered facility. Stall Mates are hypoallergenic. They contain NO alcohol or parabens. They are also fragrance free. These wipes are gentle enough to use on your face, body, your baby and even your pets! 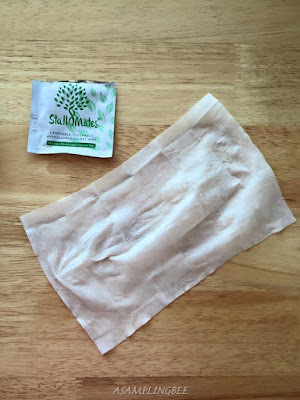 The wipes contain only aloe, chamomile and cucumber. The wipes packet is discreet. They can easily be put into a pocket, purse, gym bag, suitcase or diaper bag. Stall Mates are flushable and bio-degradable. Stall Wipes are septic safe. They are TSA approved to be carry-on friendly. 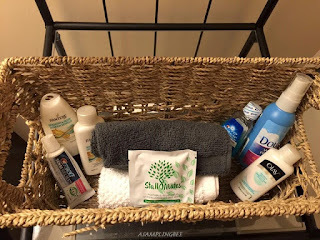 Stall Mates goal is to make you feel clean anywhere! Wipe size is 8" x 6"
I love having wet wipes on hand. I put them in my diaper bag so I can use them on the go. Whether we are home or out, having these wipes makes it much easier to wipe my 3 year olds bottom after he uses the bathroom. I leave a bunch in our bathroom at home as well as in our guest bathroom. These wipes leave no residue, oiliness or lint. They contain just enough wetness to wipe a hiney or messy hands. They are not overly wet and dry quickly. They are soft and gentle enough to use on your face. I love the fact that they are hypoallergenic and that they contain no fragrance. That being said, I like to use them as a makeup remover! I have had no problems nor have I experienced any adverse reactions from using them. I recommend these wipes! For every box sold, Stall Mates gives back by planting one tree. I am in love with this idea and I love how most companies nowadays give back to our world and/or communities. 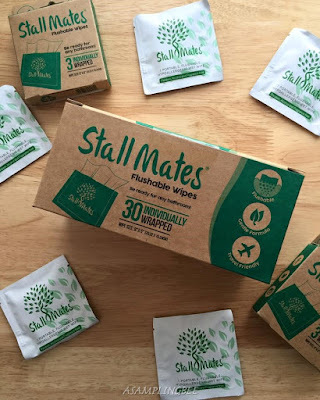 You can BUY Stall Mates Flushable Wipes in packs of 3 or 30. Purchase on Amazon | $11 for a pack of 30 individually wrapped wipes. *I received Stall Mates Flushable Wipes to create this review. All opinions are my own. Always! I love these are flushable. I will be fine in a couple weeks and this would be perfect for that. I have always wanted to use flushable wipes but I am always afraid that they will wreck havoc on my plumbing. Have you noticed any problems with this issue? I need these in my life! Those are amazing and it's really convenient. This would've saved my life when the kids were smaller. These would be awesome to toss in my bag! I always have a mess to clean no matter where I am. I think flushable wipes seem like the new thing. I'll have to check these out. These sound cool. Like that they're flushable. I can keep these in my purse especially with little kids. Will have to check these out. This sounds a great product :) I would love to try these. I'm going to tell this to my Mom, For sure she will like this too. Looks and sounds a great product! I need this. I will check this. These would be great for road trips! They are perfect for traveling!